When David Purkiss was told he was at risk of a heart attack, and taking a cholesterol-lowering statin could protect him, it seemed the sensible thing to do. The carpenter, then 44, was in hospital for a routine varicose vein operation when he was told his condition was linked to furring of the arteries, and he was advised to take statins. The drugs, taken by up to ten million Britons, have been shown in countless studies to prevent life-threatening strokes and heart attacks. They work by reducing the amount of 'bad' LDL cholesterol made in the liver - this type of cholesterol can lead to furred arteries. But statins have been dogged by claims of side-effects, including muscle pain and weakness and a raised risk of diabetes. David says he noticed dramatic changes within weeks of taking pravastatin. 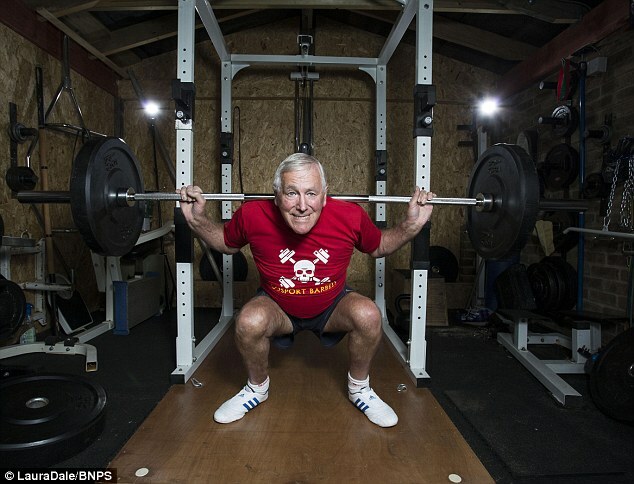 'I developed terrible muscle pains,' says David, now 70, who lives with his wife Sheila, 67, in Titchfield, Hampshire. 'My strength started to go. My GP didn't know what was causing it, but didn't think it was the statins, and was convinced the benefit was so huge it was worth putting up with the pain. 'I was prescribed co-codamol, then co-proxamol and tramadol for the pain. It was so bad I would hang on to a kitchen work surface and weep while I tried to stay upright. 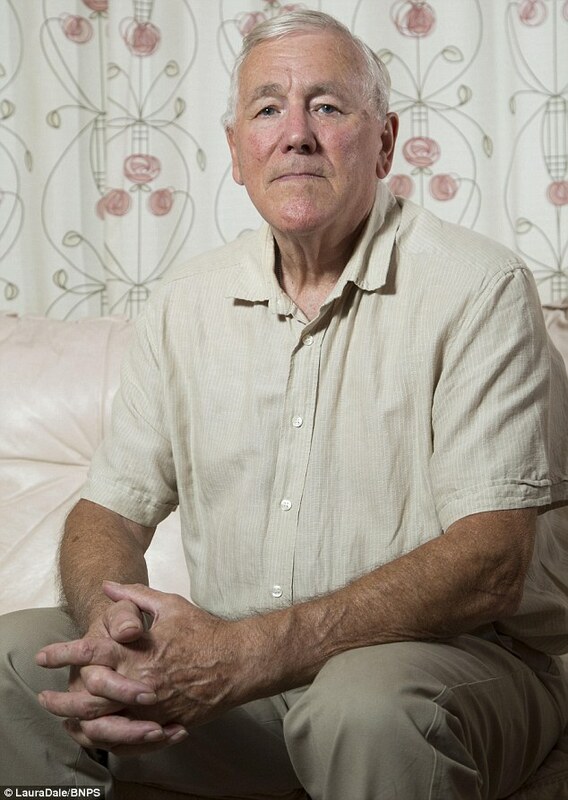 David's doctor refused to listen to any suggestion that statins might be to blame but in 2008, switched him to a different version, simvastatin. This did nothing to improve David's health and within months he was in a wheelchair. He was referred for physiotherapy and acupuncture to treat his muscle pain. Health and social care staff fitted stair rails, handles on walls and equipment to get him into the bath, and he was issued with three sets of crutches to help him struggle around areas of his home inaccessible to the wheelchair. The consensus is that statins are life-saving for people who have suffered a stroke or heart attack to help prevent another episode. Then last year, the National Institute for Health and Care Excellence (NICE) recommended that anyone deemed to have a 10 per cent risk of a heart attack or stroke over the next ten years through poor diet and lifestyle, high blood pressure or family history of heart disease, should also take them. This means half of all women over 60 and 83 per cent of men over 50 are eligible for statins. The watchdog estimates lowering the threshold will prevent 28,000 heart attacks and 16,000 strokes each year. However, many GPs - and patients - have expressed concern at the idea of giving drugs to healthy people. Last week, an analysis by the GPs' magazine, Pulse, found prescriptions for statins have risen by just 2 per cent since NICE's new guidance, suggesting doctors are defying the recommendations. Concerns have not been helped by reports of side-effects. Manufacturers admit one in ten statin users may suffer side-effects, including muscle pain and weakness, but some studies - and anecdotal reports from doctors - indicate the rate is much higher. What's more, there are concerns that the benefits of taking statins have been over-sold. Critics have argued patients may be misled by being told statins will 'almost halve' their risk of heart attack, as the risk is already low. According to a review of the data by the prestigious Cochrane group published in 2013, a healthy person has a 2.9 per cent chance of having a non-fatal heart attack within five years. Taking a daily statin reduces this risk by just 1 per cent to 1.9 per cent. In September, a new analysis of data from 11 major studies found that statin treatment prolongs life by just three days in healthy people and four days if they have cardiovascular disease. Researchers at the University of Southern Denmark said if someone has unpleasant side-effects, 'physicians should not be too insistent on the patient continuing them'. The Medicines and Healthcare Products Regulatory Authority, which says only 10 per cent of adverse drug reactions are reported, in 2014 received 730 reports related to the five statins licensed in Britain: simvastatin, atorvastatin, rosuvastatin, pravastatin and fluvastatin. If that is 10 per cent of the total, the real number of reactions could be 7,000 or more. Professor Sherif Sultan, a heart disease expert at the National University of Ireland and a fellow of the American College of Surgeons, is one of a handful of heart specialists who question statin over-use. 'These drugs do have benefits for certain people who have had a heart attack or a stroke, but not for everyone,' he says. The side-effects are thought to be the result of statins interfering with cell metabolism, causing weakness, damage and fatigue. In 2008, David decided to come off the drug. He'd been referred to an orthopaedic surgeon for arthritis in his spine. 'I went to see him depressed, desperate and in a wheelchair,' says David. 'I told him it had taken me three-quarters-of-an-hour to get from the car park. David says he started to feel better almost straight away. Within a few weeks he was able to walk, and six months later he was as fit as he had been before starting the drugs. 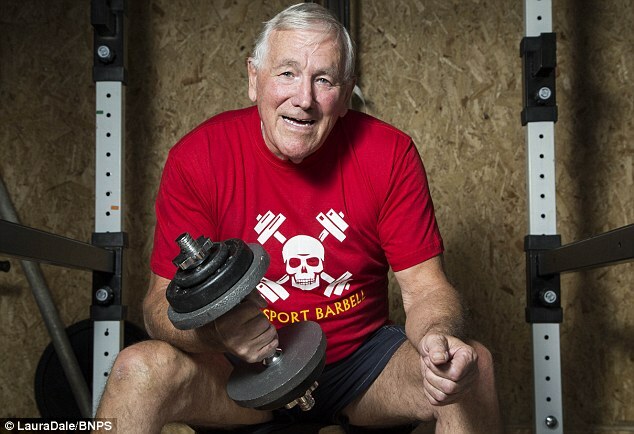 Since he took his last statin on November 6, 2008, David has regained his health, strength and mobility and is a competitive weightlifter. He has a gym in his house and thinks nothing of heaving weights of eight stone. Another potential side-effect is a raised risk of type 2 diabetes - a flurry of studies have indicated statin users may have a 10 to 20 per cent increased risk of developing the condition; the drug may also worsen symptoms in those already diagnosed with it. One study, involving 130,000 people and published last year in The Lancet, also showed the drugs are associated with unhealthy weight gain. People with diabetes are often recommended statins because of their increased risk of heart disease due to raised glucose damaging blood vessels. But Arjun Panesar of Diabetes.co.uk, a 300,000-member patient internet forum, believes the drugs are over-prescribed: 'We did a survey of our users and two-thirds had suffered statin side-effects. Diabetics have also reported on the forum that statins have worsened their symptoms, exposing them to a separate set of life-threatening risks. Ellie Knowles, a 56-year-old former occupational therapist and mother of two from Inverurie, Aberdeenshire, was diagnosed aged 12 with type 1 diabetes. She was put on atorvastatin as a preventive measure 12 years ago, even though she is slim, has low cholesterol and no history of heart disease. The drug was found to cause her blood sugar to rise alarmingly, but her GP considered it better for her to take extra insulin than to stop taking the statin. The statin made her feel tired and weak, but at first she attributed this to depression. 'I decided to take myself off it without telling the doctor and, for the next ten months, I felt better than I had in years,' says Ellie. Many experts believe the warnings over side-effects of statins have been overblown. Mike Knapton, associate medical director at the British Heart Foundation, says that in studies people taking a dummy treatment have claimed side-effects at the same rate as those taking the active drug, suggesting such problems may be in the mind. The general view is that this should only be done under medical supervision. Efforts are underway to develop a safer way of administering statins in the form of a single dose every three months, instead of a daily pill. This could reduce the rate of side-effects. Ellie has negotiated a one week-on, one week-off statin regimen with her doctor, who is convinced the drug is reducing her risk of death. But effectively, she is being told that to stay alive, she needs to take a drug that makes her feel ill.